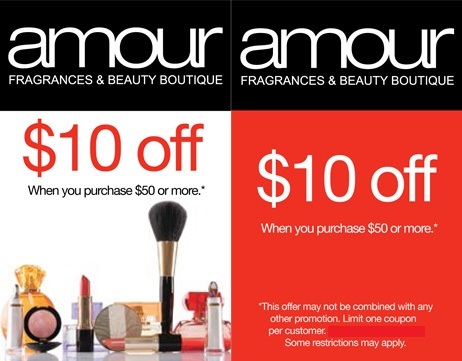 Present this coupon (printed or on your phone) at Amour's Windsor Crossing location to receive $10 off a purchase of $50 or more! *Some restrictions apply. See in store for details.